This is a short post in response to a reader question on our last post. The project life cycle (which we prefer to call project life span) is a span of time from the project start to the end. In the SUKAD CAM2P™ model, the project life span covers the whole project from the idea statement to project closure. For most projects, this life span is divided into phases / stages. Each phase has a purpose, like a design phase, a feasibility phase, implementation phase, testing phase, etc. These phases could have different names based on the organization and industry. The following is an image of the standard SUKAD CAM2P™ model. Project management life cycle is a term that is not used often and it can be confusing. Some practitioners use the term to mean the same thing as project life cycle; what we explained above. Others use it to refer to the project management processes that repeat in every phase … if you are familiar with the PMBOK Guide from PMI, the project management life cycle could be the same thing as the PMBOK® Guide process groups (initiating, Planning, Executing, Monitoring & Controlling, and closing). These processes repeat in every phase of the project life cycle. These process groups are derived from the quality cycle of Plan-Do-Check-Act. Hope this answer the reader’s question. There are many articles, references, and even methodologies that uses PM Process (PMBOK Process Groups) as the stages of a project life span (cycle). This is not correct. 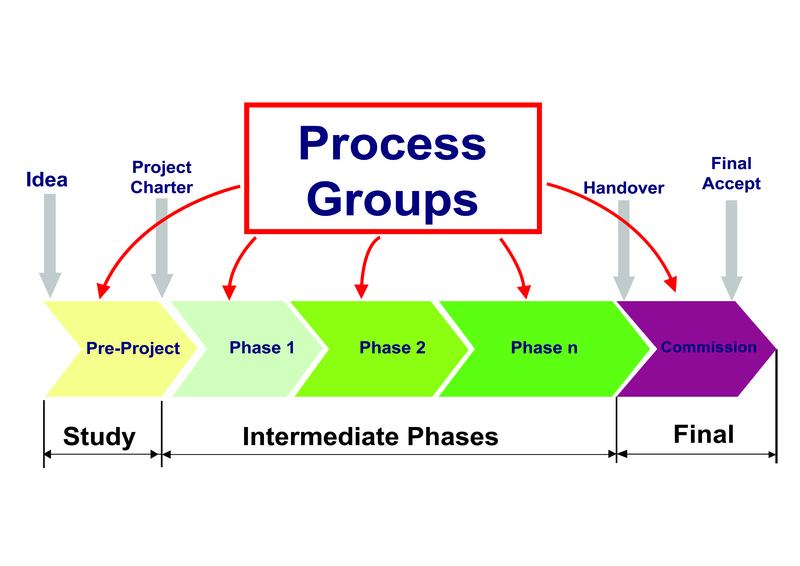 It is acceptable for organizations to name their project phases similar names to the process groups (Initiation, Planning, …) as long as they understand the difference between initiation as a set of processes that repeat in every phase … and … initiation as a phase or time span on the project life span. The problem is – many project managers and personnel (even organizations) confuse the two. Here is a link to an earlier article that focus on planning and why planning is not a phase: http://blog.sukad.com/20140107/why-planning-is-not-a-project-phase/. Do you have any question that you would like us to cover? Write us at blog@sukad.com. Is the Project Manager the jack-of-all-trades?